This reading group guide for Pretty Revenge includes an introduction, discussion questions, and ideas for enhancing your book club. The suggested questions are intended to help your reading group find new and interesting angles and topics for your conversation. We hope that these ideas will enrich your dialogue and increase your enjoyment of the book. Kerrie O’Malley, jobless and in an unfulfilling relationship, can pinpoint the exact moment when her life veered off course—the ill-fated night she was wronged by her childhood role model. Eighteen years later, when Kerrie sees the woman who destroyed her life on television, she devises a plan. Kerrie knows the risks—but she’ll stop at nothing to achieve the retribution she deserves. Jordana Pierson is a gilded New Yorker who appears to have it all: wealth, a successful and handsome husband, and a thriving wedding concierge business. Her record is spotless. Her business is flourishing. No one knows the truth about her and the dark shadows of her past. Pretty Revenge is a riveting, compulsively readable novel that explores just how far someone will go for vengeance. 1. Both Kerrie (Olivia) and Jordan (Jordana) assume new, invented identities to move on from their pasts. Discuss each woman’s reasoning for assuming a new identity and how these reasons are similar or different. 2. Early in the book, Kerrie shares something her Nana used to say: “Senseless revenge will whip its neck and snap you on the bottom” (p. 5). Discuss the different revenge plots in the novel. Do you think Kerrie’s reasons for revenge against Jordana are sensible? By the novel’s end, do you think she succeeds in her revenge? 3. As part of their work in the marriage concierge business, Jordana and Kerrie see their fair share of different relationships and arrangements. Describe what marriage and love look like in their industry. Of the couples and marriages represented, do any seem happy or healthy to you? Which ones? Why or why not? 4. Financial security is a major motive for Jordana, which is juxtaposed with her role in serving clients for whom money is no object. Discuss the different levels of wealth among the characters. Do you agree with Jordana’s determination for financial security? Why or why not? 5. Jordana says that “happiness isn’t always a choice.” Do you agree with this sentiment? Why or why not? 6. As a group, discuss what a marriage means to you. If you are married, what defines your relationship with your partner? Do you have an overbearing mother/mother-in-law like Caroline. When planning your wedding, did find yourself anxious over everything like Alexa? If you are not yet married, describe the relationship you hope to be in and what you value in a partner. 7. When Kerrie comes clean and admits her reasons for being in New York to Sara, the two devise a plan. Discuss Sara’s willingness to be involved and her desire to return to work. Can you relate to her trouble finding work in her early years of motherhood? Has anyone in your book group taken time off to build or care for their family? Consider the pros and cons of giving up work to become a stay-at-home parent and vice versa. 8. Further to the above, mothers and motherhood are represented in many forms in Pretty Revenge. As a group, compare and contrast the different family dynamics and relationships that exist. Is Caroline similar to Sara? Is Jordana’s mother similar to Caroline? Discuss how the characters view their parents or the act of parenting. 9. Kerrie’s past with Jordana is finally revealed in Chapter 26. Are you surprised by what happened between them? Do you think Jordana is responsible for Kerrie’s grandmother’s death? Why or why not? 10. Considering the dual nature of decisions and their impact, there are always two sides to every story and every memory. What do you think about Jordana’s decision to take the ring and money? Do you think Kerrie would have seen things differently if she were older, and if her grandmother had survived? 11. Why do you think Jordana’s mother is so insistent on having her reunite with her father? Do you think Jordana is right to want to avoid it? Are you surprised when Jordana and her mother reconnect in the final scene? 12. 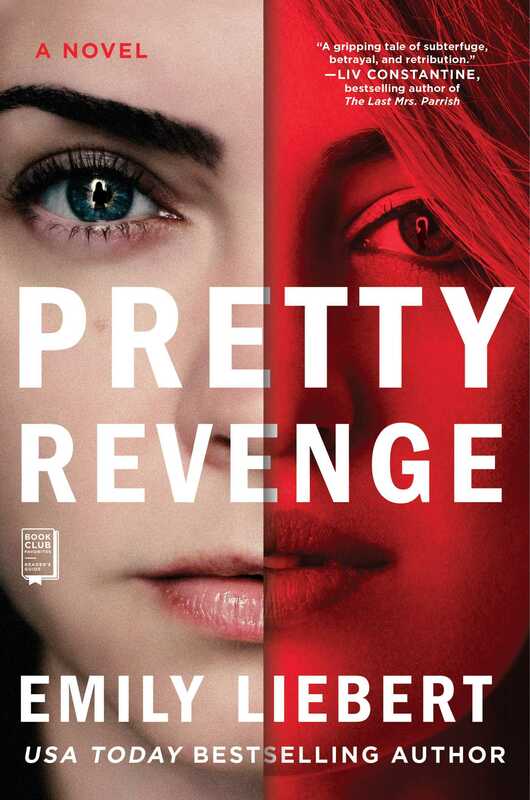 At the end of your discussion, consider Pretty Revenge in the context of other popular female-driven thrillers, like Gone Girl by Gillian Flynn and An Anonymous Girl by Greer Hendricks and Sarah Pekkanen. 1. Consider reading the wedding announcements or Vows column in your local newspaper. Discuss as a group what you think of the weddings that have happened in your area. Are they as over-the-top as the receptions Jordana Pierson’s company creates? 2. Before your book club, read Alain de Botton’s opinion piece in the May 28, 2016, edition of The New York Times: “Why You Will Marry the Wrong Person” (www.nytimes.com/2016/05/29/opinion/sunday/why-you-will-marry-the-wrong-person.html). Discuss his views on marriage, and whether or not you agree with what he has to say. Would any of the characters in Pretty Revenge benefit from adapting to his point of view? 3. Consider making mood boards for your own wedding—or imaginary wedding, if you could do it over again—if you had the budget that Jordana’s clients have. Clip images from a magazine or create a Pinterest board and share as a group. Discuss the differences between the wedding of your dreams and the wedding of your reality. Would you do it the way Jordana’s clients could, if you had the chance? Why or why not? 4. Visit Emily Liebert’s website at www.emilyliebert.com to learn more about Emily and connect with her on social media. 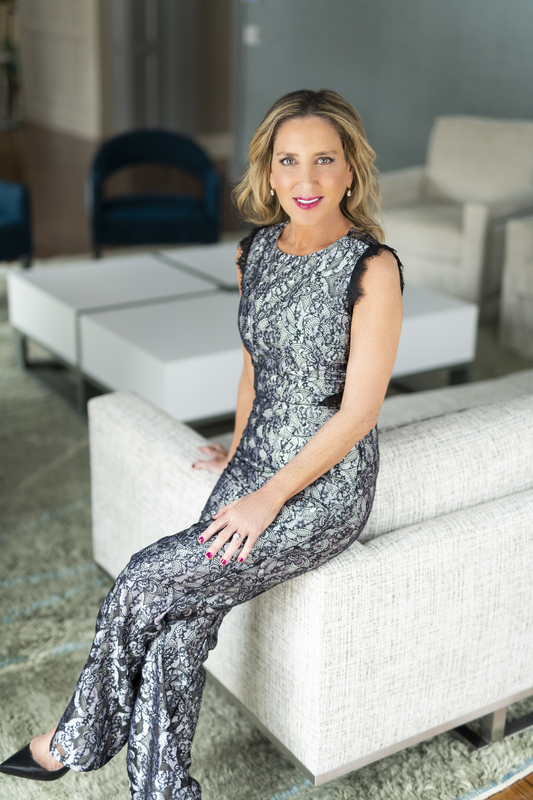 Emily Liebert is the author of four novels and has been featured in publications such as The Wall Street Journal, Ladies’ Home Journal, People, HuffPost, and many more. Emily lives with her husband and sons in Connecticut.